Yesterday afternoon we received a call from HCJB Global letting us know that we are now accepted as missionaries with them! What does this mean exactly? Well - HCJB has offered us position(s) in Shell, Ecuador. Generally, the contract runs for 3 years at which time we re-evaluate them and they re-evaluate us. Our job descriptions (they will change I'm sure over time) in Ecuador consist of general contractor for a hospital addition (Eric), leading work teams (Eric), training locals in water filtration unit building (Eric), health and hygiene training (Renee), Occupational Therapy at the Hospital and orphanage (Renee) and managing the guest house (Renee). So what next? HCJB requires that we raise 100% of our funds prior to leaving the country. This does not mean that we have to have 100% in hand but we must have pledges for 100% of our needs. In other words we will be fundraising for the next several months, speaking at churches about HCJB and their vision/goals worldwide as well as with individuals. In January Eric and I will return to Colorado Springs for 10 days of training that is required. 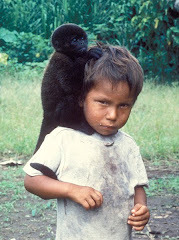 If our funds are raised and everything here (Holland) is in order then we would hope to begin our journey mid-July 2010. There is a missionary training school for adults and kids north of Colorado Springs that we would attend for 6 weeks and then head off to Costa Rica for 3-6 months of language school. 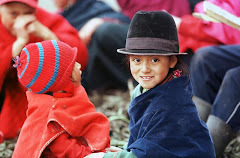 Directly from lanaguage school to Ecuador. That is just a brief synopsis of "our" plan. Only God knows the timing. We will trust Him to work out the details. In the meantime Eric is busy working for one of his brothers and I am trying to keep up the house as it is now on the market. We have had 2 showings so far and an open house is scheduled for this Saturday. If you remember please pray for the rain to stop!!! Woke up this A.M. to a flooded front yard. Of course the flooded area is the area we just added top soil too and re-seeded. Our house is fine as we put in 7 de-watering wells in May but the yard is not attractive. We are both also studying our Spanish via computer and I am taking Bible classes on-line to finish up HCJB's Bible credit requirements. We will continue to keep you updated as we find out more. If you would like to know more about the journey God has us on - please give us a call or shoot us an email. 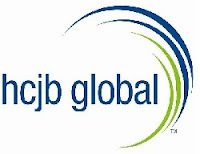 We would love to share what HCJB is doing globally. Feel free to check out their website also at www.hcjbglobal.org.